With consumers attitude to sugar fundamentally changing, the carbonated soft drinks (CSD) market was always going to be challenging for brands. One approach has been to diversify with Coca-Cola, for example, launching new brands in the UK: Honest, Fuze Tea and Adez. Understandably, all of these actively promote their natural credentials. However, they all sit outside the realm of carbonated drinks. What can an established carbonated soft drinks brand do? Of course, the obvious route is to offer a sugar-free option. All the major CSD brands do just that but with varying success. 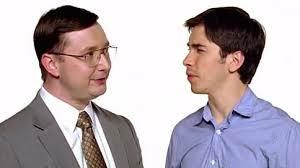 Part of the problem is that hedonic desire is a powerful impulse – we want the sugary hit in-the-moment as this is, of course, what we are used to. The challenge is therefore that the salient decision attribute for consumers is healthy versus unhealthy. We know we should have the healthy version but we prefer the unhealthy one. This dissonance is more easily dealt with by making no choice, which can cause sales to decline. This partly been resolved by brands offering a choice of flavours for the sugar-free option. By making the choice of flavours front and centre, this lowers the salience of health as the salient decision attribute. Indeed, Coca-Cola has focused on choice on their advertising, cleverly reinforcing this point. However, this is only one tool that brands can work with. The psychology of social identity can also be used to drive behaviour. This suggests that we think of ourselves as members of some groups but not others. And in addition, we know that there is a set of behaviours that are appropriate to a given group. Brands can succeed by building identities that resonate with consumers and signalling guidance on what behaviours are appropriate. Apple was something of a pioneer in this area using advertising to build a very clear ‘in-group’ for their users to signal their cool identities. So how can a carbonated soft drinks brands build a social identity? One of the routes that some choose is to focus on is naturalness and well-being. Given consumer concerns then this seems like a rational route to go down. Indeed, it is perhaps necessary to address consumer concerns. The difficulty is two-fold. First, this means the salient decision attribute is still related to health and sugar. 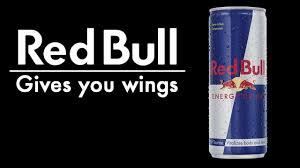 Red Bull, one of the most successful brands in the category does not focus on this, instead, building a strong identity around adventurous of spirit and passion for excitement. Second, is the issue of authenticity. Whilst naturalness, well-being and a convincing back-story is an identity that works for small brands, it can be a hard one for big brands to carry off convincingly. And this is where we need to consider more closely the psychology of ‘authenticity’ – we throw the term around but often don’t reflect on what it means. We often think the term is synonymous with attributes such as naturalness. However, in reality, authenticity is simply the embodiment of a set of values or identity. Think of Ryanair for example. Much as we may disagree with Ryan O’Leary’s ebullient, penny-pinching tone, it nevertheless feels like an authentic identity. We could consider that in choosing Ryanair, it signals you are a member of the ‘savvy-traveller’ group. So back to carbonated soft drinks. The challenge is finding an identity that is authentic but which resonates with consumers. We are increasingly seeing a big opportunity for brands around understanding the psychology of meaningfulness. This is somewhat different to brand purpose which focuses on ethical and sustainability issues – we consider this to be half the story. Meaningfulness is a combination of the subjective positive feeling we get when being engaged in something we care about that is objectively bigger than ourselves. 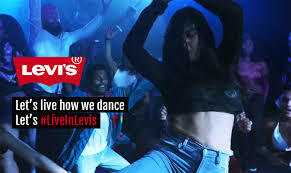 The Levis advert is a great example of a brand which is helping to drive a distinctive identity for the brand by marrying these subjective feeling (dancing and fun) and objective aspects (diversity and community) of meaningfulness. Carbonated soft drinks may find their answer to encouraging take-up of sugar-free options not by focusing on the attributes of the drink (even indirectly) but instead understand building an identity around the big issues that their target market care about and work out how to marry this with a positive experience. We believe carbonated soft drinks brands have the opportunity to take brave new steps to address faltering sales. But this is not by imitating small competitors as this seems inauthentic. The opportunities are instead offered by using behavioural science to build meaningful identities that work for the brand but most importantly for consumers. Posted in Advertising, Marketing, Psychology. Bookmark the permalink.